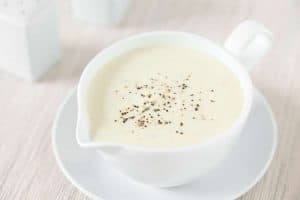 Tasty and perfect to accompany all kinds of meals, this is the tartar sauce, a recipe that we must always have at hand. Would you like to know how to make the Tartar Sauce? Therefore, here we show you everything about this delicious preparation. 2 Recipes with Tartar Sauce. 3 What does this sauce contain? The Tartar Sauce point of origin is very vague; so far, it cannot be demonstrated where it is from. Even so, it is part of many culinary cultures all over the world, although some sources assure that the Tartar Sauce was created in France. In your porcelain bowl, one yolk will be throw, salt, pepper, scarcely vinegar, and the work starts. The oil is throw drop to drop; the mayonnaise takes body and gets dense without feeling in shiny waves that left over. The truth is that there are no evidences that show where or who created the Tartar sauce. Is perfect to be consume with sea food , Fried food, meat, sandwiches and all the food that you think about. The salmon with Tartar sauce is one of the most popular dish and in this case is worth to highlight the famous recipe belonging to Carlos Arguiñano, that in another moment we will explain deeper. There are several recipes as well, which deserve the merit of delicious dishes. In most of the cases, is used to be combine with salads, breaded shrimps and other bubble over seafood. Its flavor is so delicious, its texture so nice that there is no doubt, is an obligatory recipe in almost all the restaurants, and food stands. Is truth, that has different ways to form the preparation, but all depends on the likes and adaptations according to the region where is located. Even so, the formula that we bring you today is the basic one, use for making the homemade Tartar recipe. A simple preparation that you can have in your hand as many times you wish to taste in another time. What does this sauce contain? Is the result of the integration of several ingredients that are get through easily and that without any doubt, we dare to say that it is almost obligatory to include it in our menu at least once. 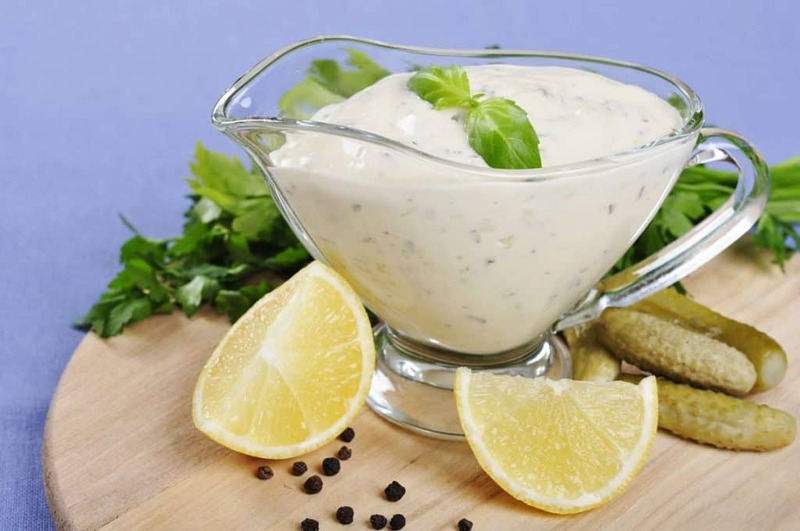 The main ingredient of the Tartar sauce is the mayonnaise, which can be make it at home or get it at any supermarket. In this case and Spite of we love our natural preparation and make it with our own hands, we suggest you to get the mayonnaise if you wish that the Tartar lasts several days. Although with such a nice recipe like this one, we doubt that left over something to keep. The best of all is that just in a few minutes it can be prepare and have it ready just on time for the dinner. 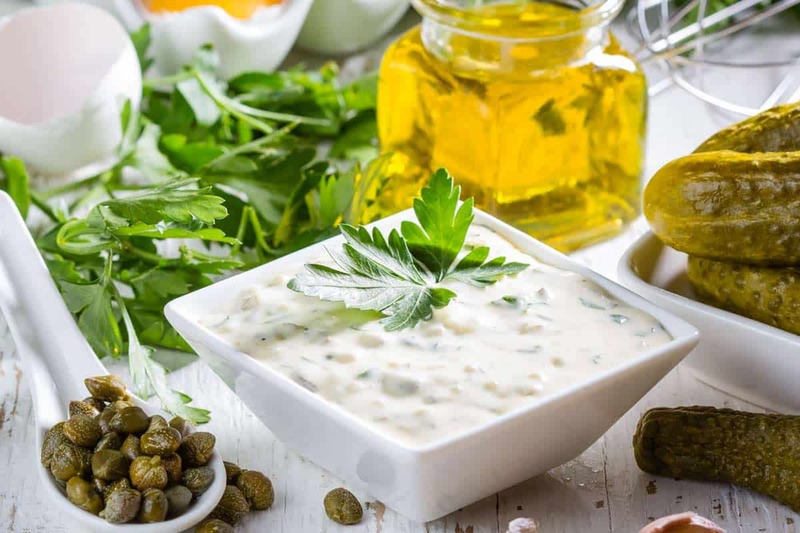 Deeply rooted to all the culinary traditions around the world, the Tartar Sauce admits almost all type of combinations, especially salads and seafood. In a recipient, mix the mayonnaise, with the mustard, the caper and the rest of the ingredients, we stir it well to integrate them. And in this way is ready our Tartar sauce. You can add some olive or radish finely cut, if you rather that.